There’s magical mayhem at the top of Monte Mario. 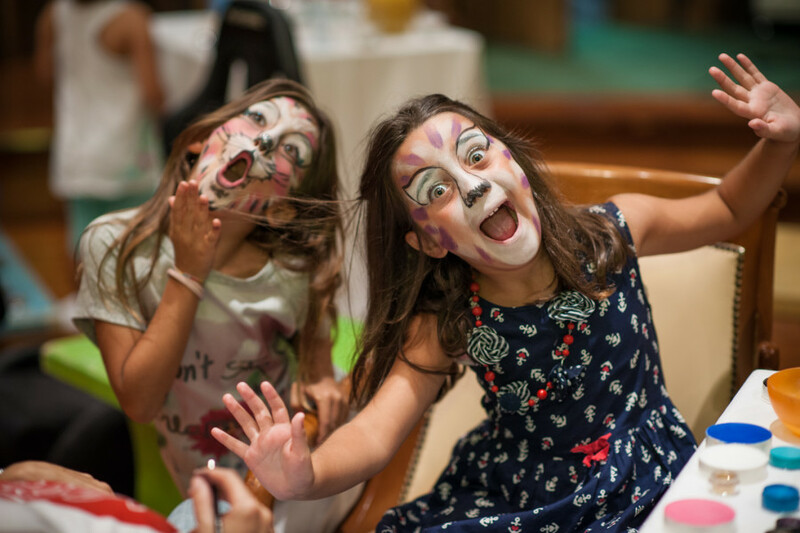 The team at the Rome Cavalieri’s IT Club are of the Pied Piper school, luring kids away from parents to something far more fun during the summer months. 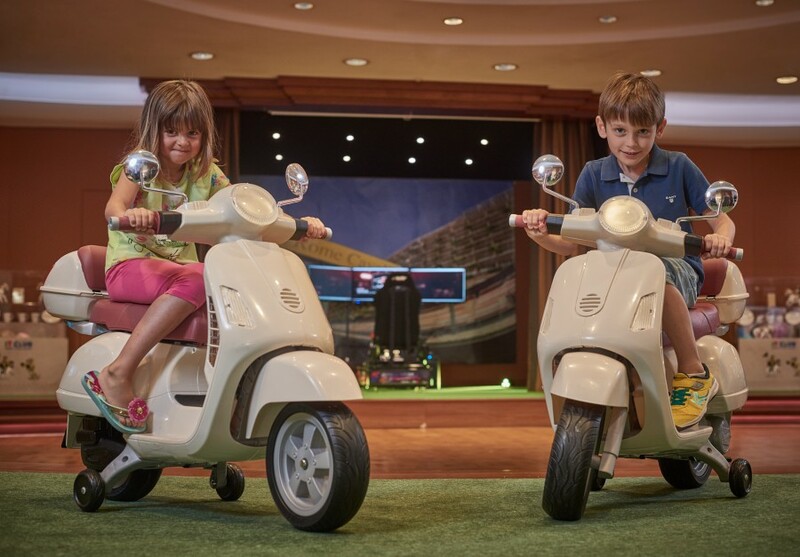 The IT Club team can arrange brilliant exclusive experiences for our young guests, both in the hotel or around Rome. There is creativity at the arts laboratory, mini car races and magicians. 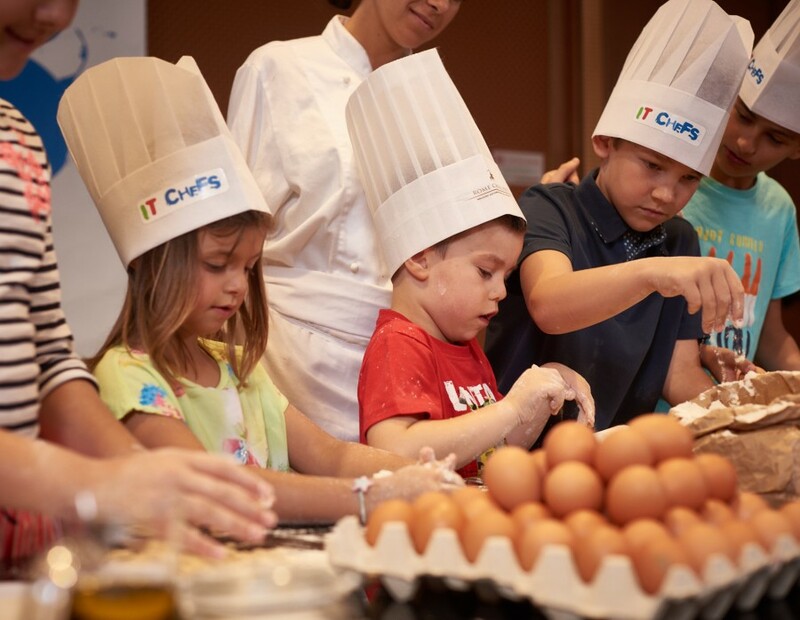 With or without parents the IT Club will take children on some super trips around Rome such as our myths and heroes tour, pizza making and treasure hunts in Villa Borghese. 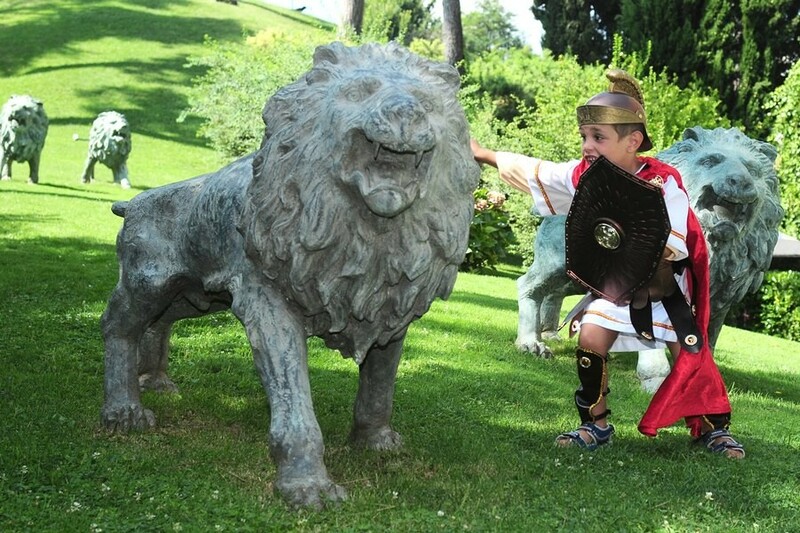 The Coliseum is only down the hill but before you take the kids they can be prepared with private gladiator classes, even gaining ‘Tiro’, first tier qualification. Sunday Brunch at the Rome Cavalieri is a parallel universe where fashionable adults graze over exquisite sushi and salads, while next door painted kids are partying like it is going out of fashion. When you are looking for a family break all roads lead to Rome and right up to the door of the Rome Cavalieri, surely the most family friendly hotel in Rome, with three pools and a park, to mention just a few things. All essentials for children are available in the hotel including mini bathrobes, small hangers, kettles, cribs, night lights, high chairs, strollers, baby wipes and diapers.